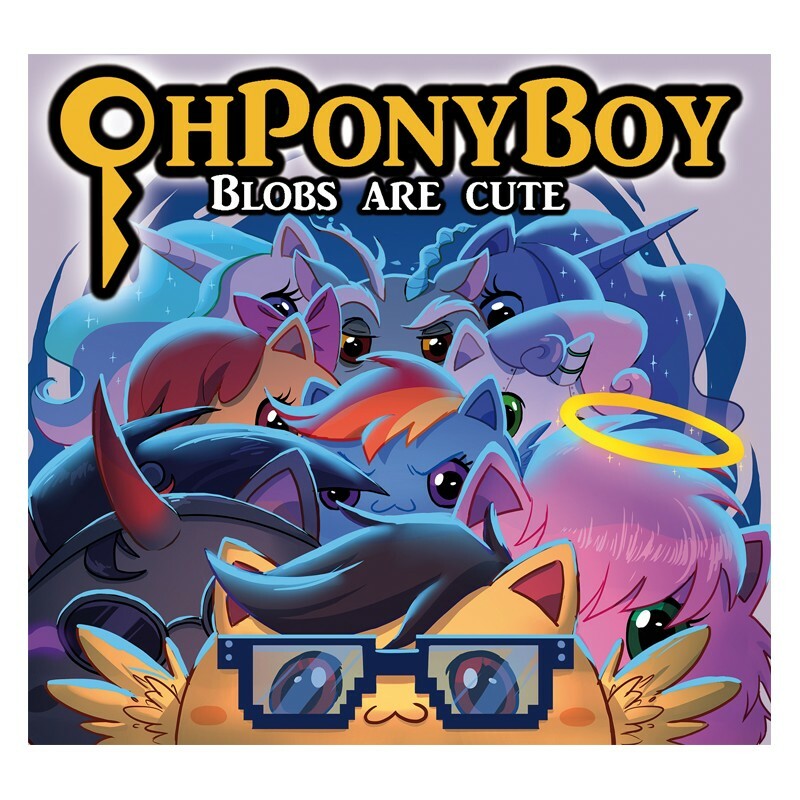 OhPonyBoy - Blobs are cute : physical album ! 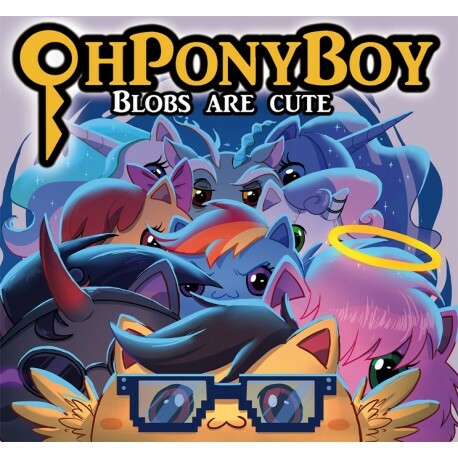 Alternative vocal, dubstep, improbable guitar riffs, "Blobs are cute", composed between 2014 and 2016, groups together 9 compositions from the crazy imagination of OhPonyBoy. Completely chibi, definitely out of control ! 5 - The Blob Pad ! 7- Go Fast, Blobasus ! ALL THE MUSICS OF THIS ALBUM are available IN THIS PLAYLIST. Come and get an idea. 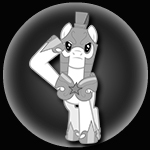 "Fighting Lucirek" is not inside. You can pay with any money (euro, dollard, yen ...) the conversion charges are for me ! Shipping cost are 2.00 euros worldwide for one album ! 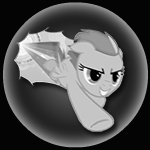 Because of the interdimensional taxes, no delivery will be made to Equestria. Autographs : Independent artists usually offer the opportunity to order an autographed album for an additional cost. A dedication from me correspond to something, a memory, an encounter, certainly not a story of money. When I take part in events, my dedications are free. Because of that I will not realize "blind" delivery of this album autographed. If you want an autograph, come to see me in real life ^^. 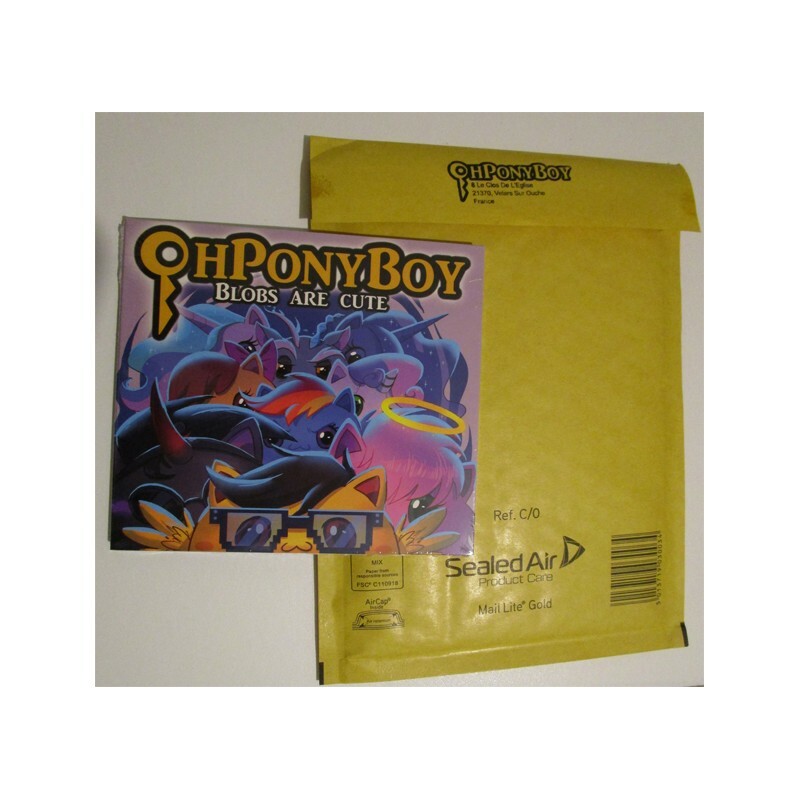 I had a little problem with the delivery but thank to you it was resolved quickly, now i'm very happy that has arrived. Sorry for the long reply ! This album is great, songs are greats everything is great ^.^ Your work is awesome, please, don't stop ! IT'S MINE NOW =D =D !!! Listening to such amazing music on low quality Youtube would be an insult to your ears! 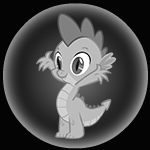 Also, the art is simply too adorable to pass up. Just get it already! Ships pretty fast for an international delivery, too! Oh and this arrived much faster than expected. "Only one complain, you have only use HALF the space on the cd ! Common ! Get back to work ! 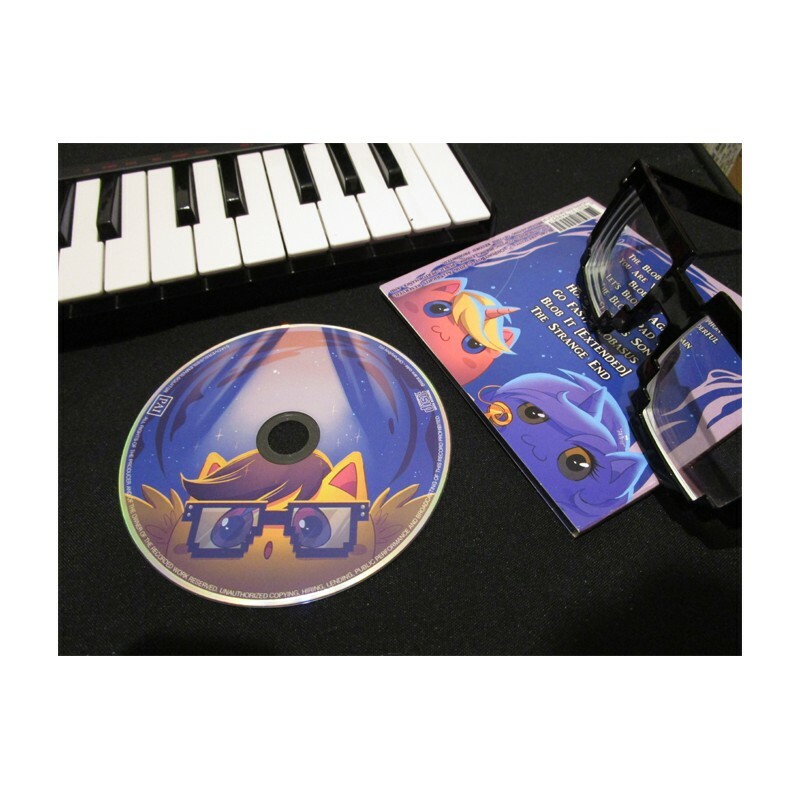 :P"
I'm now the proud owner of this wonderful CD. 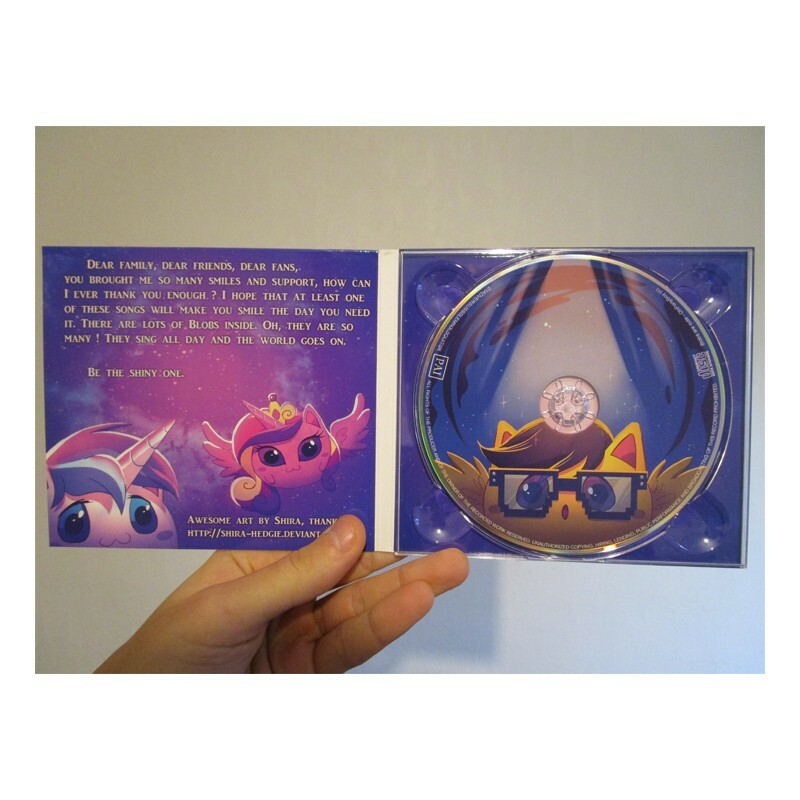 The art work and the detail of the box is awsome, but the "mane" (yea i know) value is the lovely music. 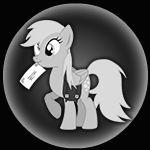 Great quality, some new song and a warm felling of the love ohPonyBoy put in it. Ordered since it's release, already recieved! I was assuming a smoother feeling for the cover, but the artwork makes it 20% cooler (yep still this old joke). 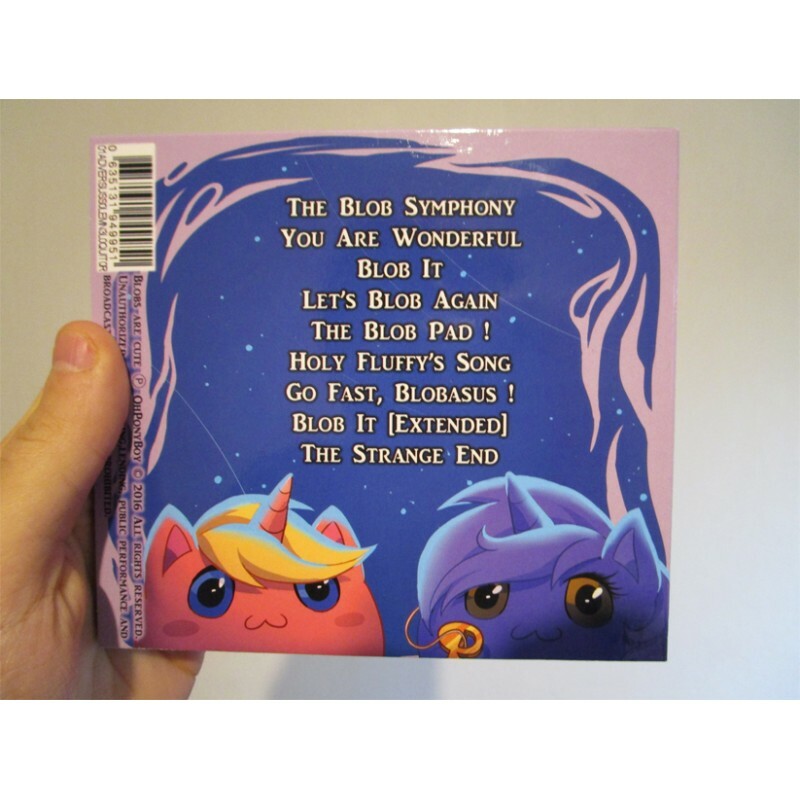 The 9 songs are, well, they are Blobs, cute and class at the same time! And the french message behind the CD placement.... sounds like an enigma for me. In the end, a 150/20 for Blobs are cute, absolutely approved! The fun have been BLOBED ! The Blobs awesmoeness has been doubled. Australia post use's, Derpy mail, it get there but it take it's time. So, how is the website ? 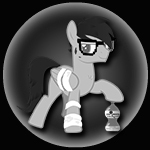 How is the album =) ?